Recently installed Sam 10 SE all was working as expected. Had to reinstall Windows XP, after installing Sam 10 SE and Music Studio 15 I'm now getting ASIO 2.0 not loading on startup of programs. Uninstalled.... reinstalled drivers etc still no joy. It's the plugin that failed to load. 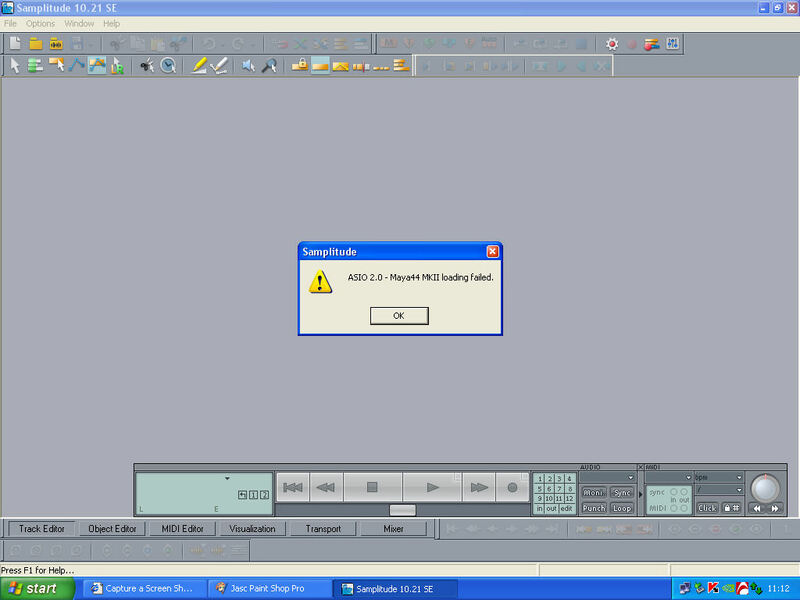 Tried rescanning VST folders still ASIO is not loading at startup. I think this might be your audio card. Did you try re-installing the drivers for it? Yes I have uninstalled and reinstalled the latest drivers for the card. I had a MAYA card myself and always had problems with drivers. Mostly after a few reboots the problem disappeared.